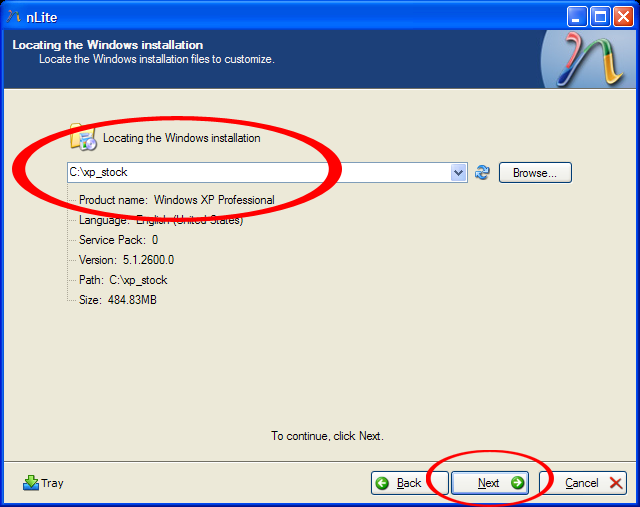 First, copy the contents of your XP CD to your HDD in a directory like "C:\XP" and make sure you have nLite installed and the SATA driver downloaded (don’t install it though). Next, extract the SATA driver ("sp40046.exe") using a program like WinRAR or 7-Zip. 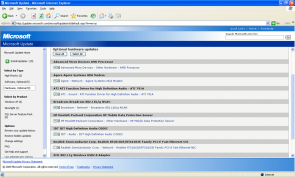 Just right click on the file and choose "Extract to sp40046/". This should create a folder containing the contents of the exe. 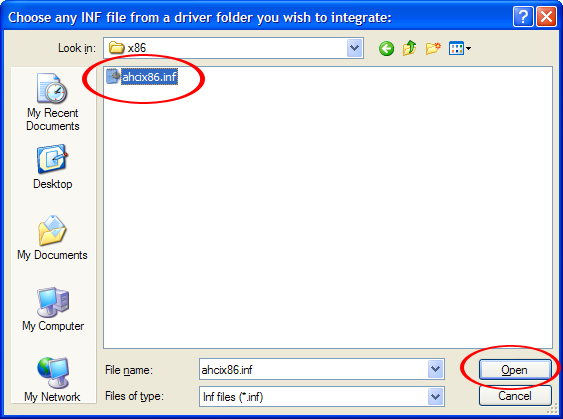 Next, go ahead and open up nLite, hit Next, and select the folder where you extracted your XP CD. 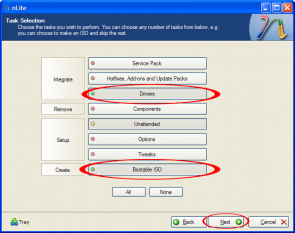 Click Next until you get to the "Task Selection" and choose"Drivers" and "Bootable ISO". 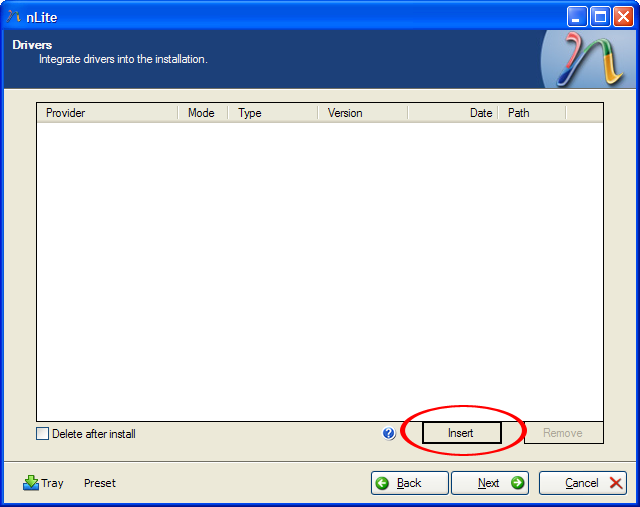 You can also choose "Unattended" to make the install a little more hassle free if you want. 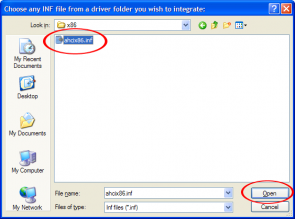 On the "Drivers" screen, click on "Insert" and navigate to the folder of the extracted HP driver. 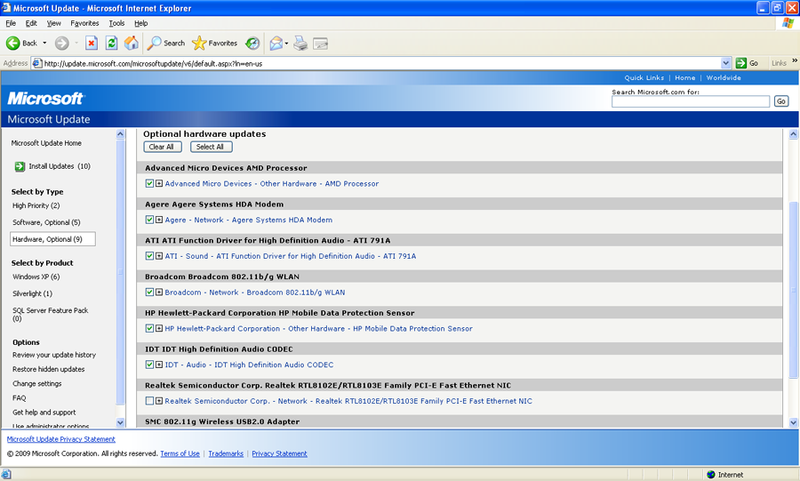 The driver we want is in the "RAID7xx" -> "x86" -> "ahcix86.inf". At the Integration Options window that pops up, make sure that "Textmode driver" is selected and that you select the x86 driver if you’re using a 32-bit version of XP like me. 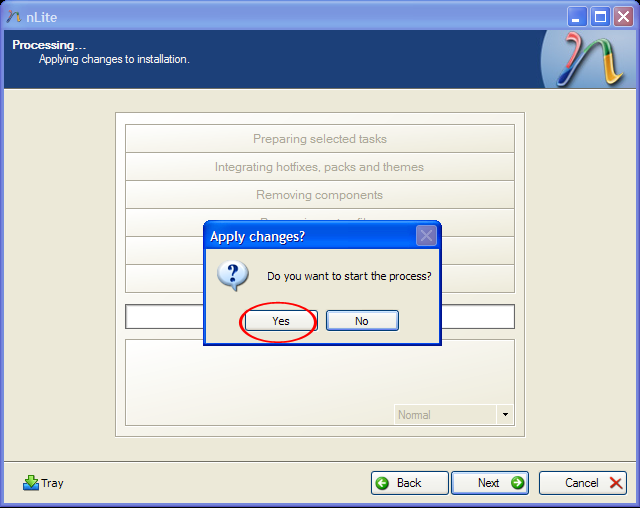 Click OK and Next and make your way through the Unattended Options and Start the Process. 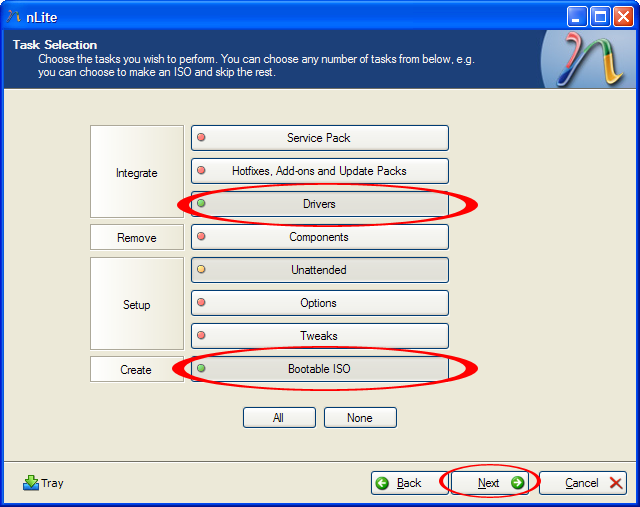 After it’s finished integrating the driver, select "Make ISO" at the next screen and save your ISO image to your hard drive. That’s it, you’ve integrated the AMD SATA HDD drivers into your Windows XP install! 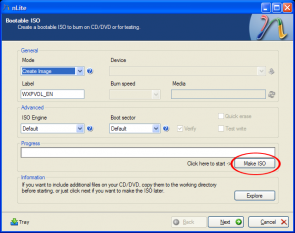 Just use your favorite CD burning program (I use CDBurnerXP) to burn your ISO onto a CD. Also, don’t freak out if it takes a little while for the inital XP setup to load, mine took about 5 minutes at a completely black screen before I was able to edit my partitions and format my drive. As far as drivers go, if you have the HP Pavilion dv4-1222nr (product number NB204UA#ABA), you can get the chipset/graphics drivers from AMD here. This should at least give you a nice resolution, but getting the rest of the drivers can prove to be a bit more difficult. Luckily, I have a USB Wifi adapter so I was able to get online after installing the drivers for it. If you happen to have an iPhone, you can use it to connect to a Wifi network (or your data connection) and tether it to your laptop using PdaNet. I have a guide for doing that here. Anyway, once you’re online, you can visit the Windows Update site (I hope you’re using a legit copy or else this probably won’t work) and download the many missing drivers. 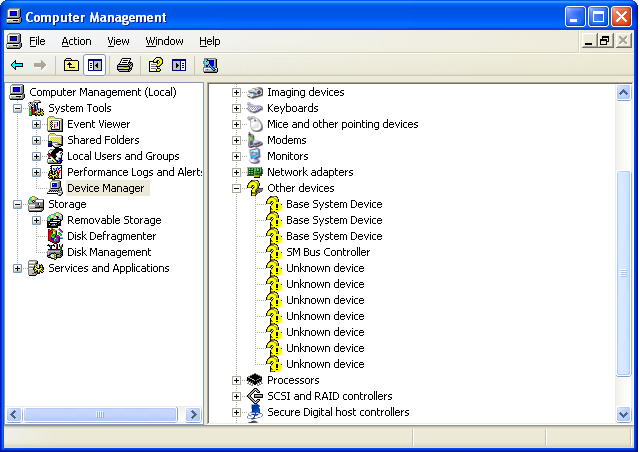 After installing all the drivers on the Windows Update website, I still have a few left as "Unkown" in the Device Manager, but the system seems to run fine. Note: If your speakers pop every 10 seconds or so or when a sound is played, disable the "powersave" function in the audio drivers. 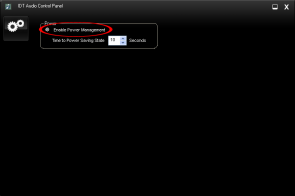 Go to Control Panel and double-click on the "IDT Audio Control Panel". 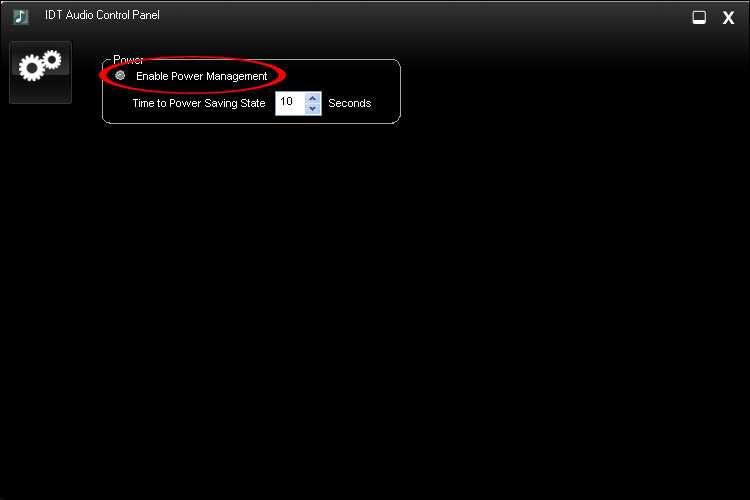 Uncheck "Enable Power Management". That’s all I’ve got for drivers, you should have a pretty functional Windows XP install now, feel free to post comments/questions below. The only suggestion I have is for you to try installing with a XP CD that has only the drivers integrated (no Service Packs). 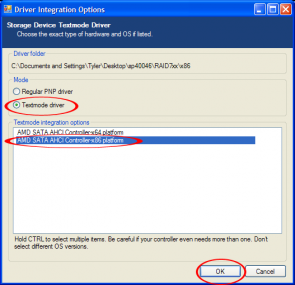 Also make sure that you’re using the correct drivers when you integrate them into the CD. If you have a laptop with an Intel processor, it will not work. Hey, i need some help finding the ethernet driver for my dv4-1222nr and alot of the other drivers. Were you very succesful on getting all the drivers needed for this laptop? i seem to be having a hell of a time finding them. i have searched everywhere and i have already done the windows update to try and get them and no such luck. if you have any ideas or know where i can find the drivers for this laptop that would be great. thanks. 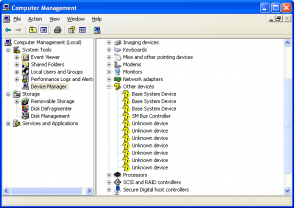 I ended up getting most of them, there were still a few unrecognized ones in the device manager. I would try some type of driver finder software or website. I’ve never used one before, but driver guide and belarc advisor look good. Don’t listen to the HP Techs, they are only supposed to support Vista now that it’s out. I installed 32-bit Windows XP Professional on this laptop and it worked just fine, so yes, it is entirely possible for you to wipe your 64-bit operating system off and install a 32-bit version of Windows XP. You won’t lose any functions if you downgrade, just make sure to get all the drivers (I listed where to get most of them here). Thanks for the information. It will be my next project. I was told by the HP tecks that it was not possible to down grade to a 32 bit system with this PC. Not that I couldnt go to a downgrade of XP but it would have to stay 64 bit. Said it had to do with some of the chips and the processor. I do like this HP laptop pretty well, just 64 bit will not allow me to use very much of my old software. I would never recamond a 64 bit system to anyone, and now im not very happy with HP’s Techs. They gave me a lot of BS and took up a lot of my time just to tell me something that you have proven them to be wrong. In a way I like this and in another its wrong for them to not tell the truth. I would have setteled for vista in a 32 bit setup with this PC. Thew blatently told me it was impossible with this model and serial number which is exactly the same as you have described here. I thank you and I will let you know how it turns out when I have downgraded , Thanks again. Do you think this process work with a dv4-2058nr? 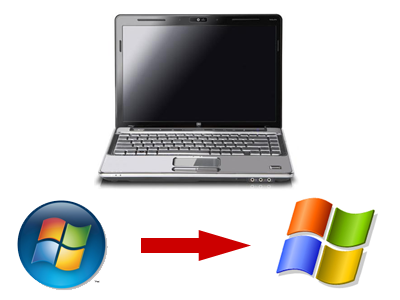 I’d like to downgrade from w7 to xp, but I don’t want to somehow screw up my laptop. I know this is something probably better left to someone who knows computers better than I do, but I’m out of options. 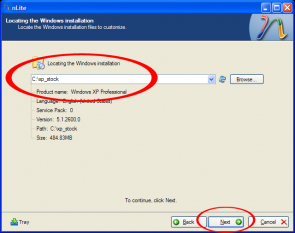 The process will work, but you may have trouble finding XP-compatible drivers. Don’t use the ones I posted as they will almost certainly not work.